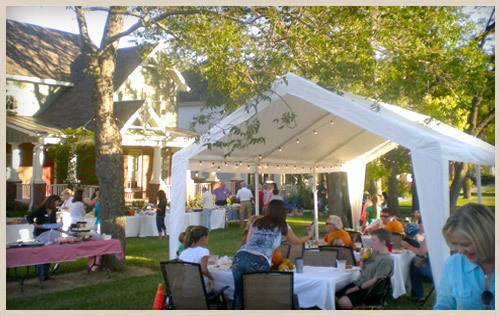 Many residents serve on committees like the Residents’ Club Oversight Committee or Hospitality Committee, which coordinates an annual block party. They can also participate in clubs like a Book Club or the Poker Club and join mom’s play dates or ladies night out events. Residents may access their own private community website by clicking here. Upon closing, please take a few minutes to register/request a log-in on this resident-only website maintained by our property management team at CMA – www.tuckerhill.org . Please allow for up to 24 hours for a new log-in to take effect. Registering for this website ensures that you will start receiving event e-blasts from our Lifestyle Coordinator and all HOA communications. It also starts the process for you to receive your access key to the pool and Residents’ Club. Receipt of a re-sale certificate from the title company upon closing. Because it can take up to one week for any title company to forward a re-sale certificate, residents can expedite this process by contacting CMA (see below) and arranging to provide proof of closing. And, instead of waiting for their access key to be mailed, new residents may pick up their key at CMA’s Allen location (see below). CMA’s Customer Care Office can be reached at 972.943.2828 or at customercare@cmamanagement.com . For after-hours emergencies, please also call 972.943.2828. CMA’s offices are located at 1301 Central Expressway South, Suite 125, Allen, TX 75013. For questions regarding resident events and activities and to make sure you’re on her e-blast list, please contact Lifestyle Coordinator Jamie Spence, (469.387.7872). If you’d like to view the CCRs for Tucker Hill, please click here.